The Tamworth is one of the most distinctive of British breeds, with its richly-coloured coat which can range from pale ginger to the deepest auburn. It originated from the town of the same name in Staffordshire, as explained in the history section of this website. 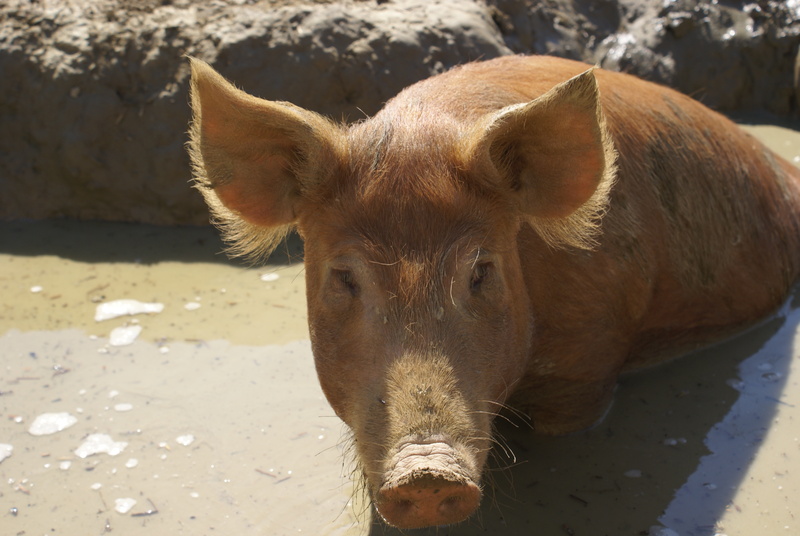 Extremely hardy and capable of withstanding the worst of the weather, it is the ideal outdoor breed, favoured by those who like their pigs to have a free-range lifestyle. As a meat pig, the Tamworth produces succulent pork as well as excellent bacon. In recent years, more and more chefs have been choosing Tamworth pork for their restaurants and the reputation is continues to grow. If you would like to buy Tamworth meat, please see the meat section.